DreamHack winter 2016 will be different, that much is clear when you look at the ticket ordering page. For newcomers and those that have been in Jönköping before it’ll be something new and exciting for the upcoming winter edition. Over the past 10 years of DreamHack this will be the single biggest atmospheric change. “So what’s the change you’re talking about?” you’ll ask. Well, DreamHack has moved its Mainstage from its usual spot. Some of you might be confused by now. “What’s so important about that Mainstage moving?”. Well, this winter, for the first time ever, Hall D will not be the big Mainstage hall. 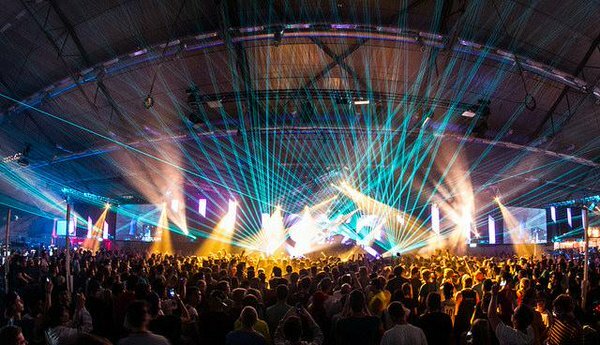 Ever since I personally went to DreamHack the Mainstage was always in Hall D. Hall D (the biggest of the four halls available in Elmia) was the loudest and the biggest ‘party’ place of them all. This Winter however it will be Hall B that will rock the Mainstage, changing the layout of DreamHack. Since the stage is now in Hall B this means that the eSports activities will move from Hall B to Hall D, turning it into the #1 eSports destination for every DreamHacker that loves to watch the eSporters doing their thing. What makes this change so interesting is that in the past in Hall B the eSports part of DreamHack was added on to the LAN. It was the furthest away from the actual LAN it could be. However in Hall D this will change in a big way and the eSport stages will be positioned in between the actual LAN. This will create a whole new vibe within DreamHack and for those loving eSports it will definitely be worth checking out the new Hall D. It also solves the problem that Hall B had: being pushed away by both the ever growing DreamExpo and eSports exhibits. It will now return to its former glory of being a big LAN-Party hall with the added benefit of live music right in front of your computer. We for one are excited to see these new big changes that DreamHack has to offer that weekend. If you want to check it out too, you can get your ticket for Pack4DreamHack right over here!